Cane Furniture Warehouse is one of the UKs biggest furniture stores, with a massive showroom based in Essex and a unbelievable amount of cave furniture available to purchase online. 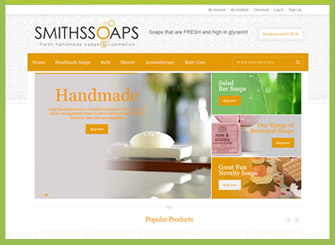 We were given the task of performing a re-design of their existing ecommerce website. With this massive product list, redesigning this site in an easy to use way was quite a task. We had to plan and wire frame this project carefully. We worked very closely with the client to ensure the catalog is displayed with the correct categories and sub categories. This ensures customers can find exactly what they are looking for, with one click from any page on the site. The overall design of the site had to be very clean, with the professional furniture photographs being the star of the show. We used a very minimal, clean layout for this site with an attractive menu system that can be easily used to find one of the many products available on sale. SEO is very important for this client, they already have some amazing Google listings for their website so we had to ensure the redesign did not effect these listing, but helped push more search terms to be picked up by the search engines. 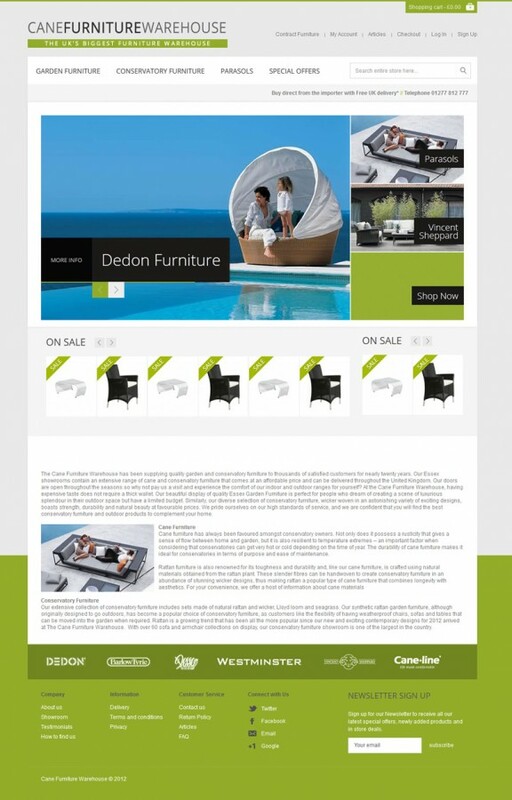 We also included a WordPress blog to allow the client to post articles and news about their latest products and special offers. 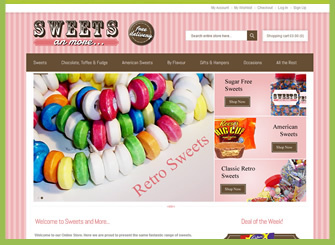 This is a great addition for the marketing of the site and we have seamlessly matched the blog design to the Ecommerce website to give clients the sense that they are never leaving the website. Cane Furnitre Warehouse have been a joy to work with, their knowledge of their industry and amazing knowledge of web technologies and online marketing made this project so much easier for us. We wish them all the best of luck with their new site. If you are looking to purchase cane furniture, look no further than Cane Furniture Warehouse.